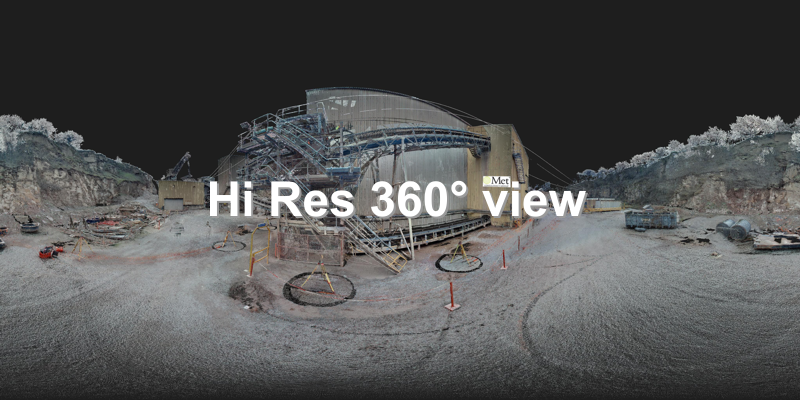 How to create web-browsable 360 degree interactive images from LSS 3D Vision Point Clouds. You've got a point cloud either from a drone or laser scanner with RGB colouration. 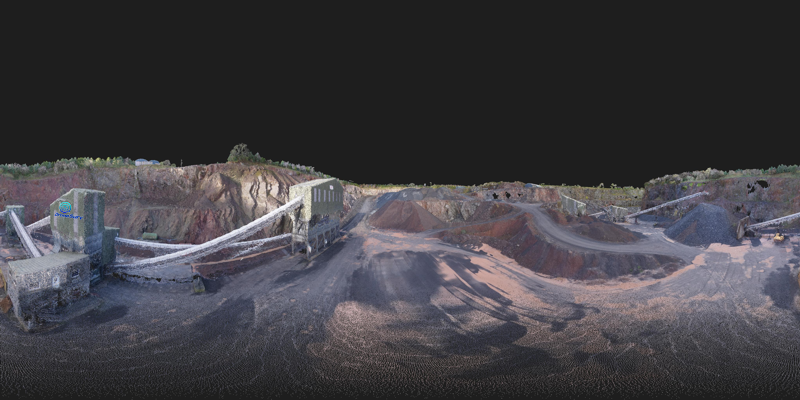 You can distribute the LSS 3D Vision application to your client so they can view the point cloud and LSS survey, but what if you want to market your services on your website or give the client web-browsable images from selected vantage points within the point cloud? 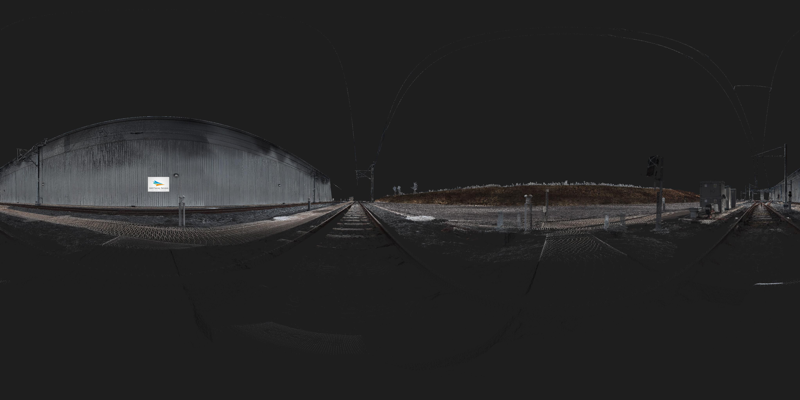 Inside LSS 3D Vision select the screen capture icon and then one of the 360° VR options. 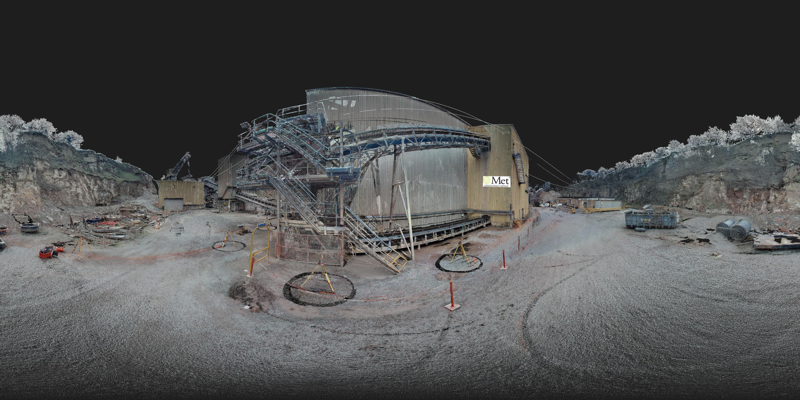 This will create a 360° x 180° "equirectangular" panoramic image in your Point Cloud folder, like the image below. What you now need is some Panorama stitching software which will create a 360° or fully spherical panorama suitable for a website. We've used PTGui because it's feature rich and good value, but there may be other applications out there which do the same. 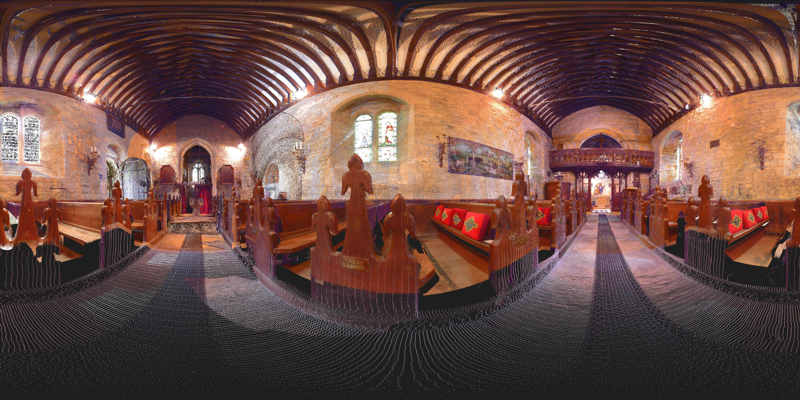 What you end up with is this interactive view which responds to mouse zooms and drags. And after a few seconds of inactivity it can be set to resume the animation. Some software, like PTGui can also use the gyroscope capabilities of a smartphone or tablet, so all you need to do is move it around and the view stays where it is. This could prove valuable for on-site client presentations where you want to show a proposed design against the existing real world backdrop. The examples below demonstrate a couple of different ways to navigate when in the view. In the first you will click and drag to move the eye in that direction, while in the second and third examples you click and drag to move the model. PTGui allows you to configure the controls as you prefer. See 360° interactive panoramas by clicking the pictures below.